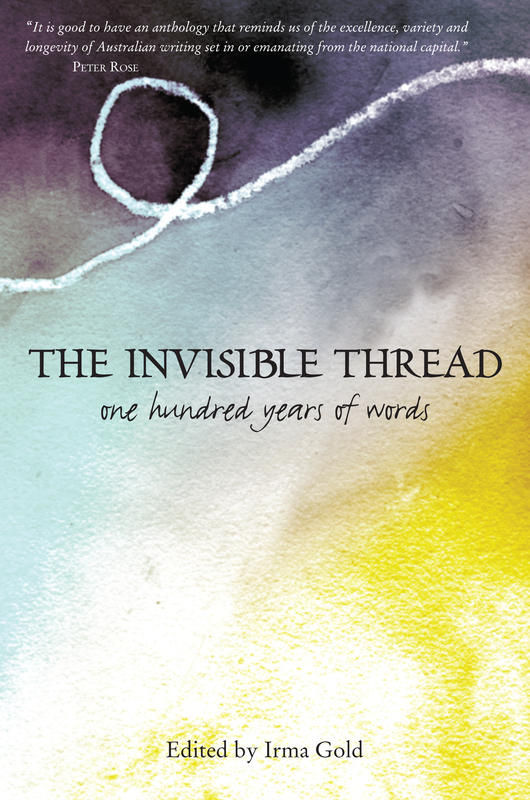 The Invisible Thread: One Hundred Years of Words is a new anthology featuring writers connected to Canberra, covering the past 100 years. There are stories, articles, poems and extracts by Judith Wright, Alex Miller, Jackie French, Les Murray, Omar Musa, Don Watson, Garth Nix, Kate Grenville and a huge range of writers new and old. The anthology is edited by Irma Gold, who has answered a few questions about the anthology below. Gold, and the publisher Halstead Press, have also kindly offered to give away a number of copies of The Invisible Thread to LiteraryMinded readers. To go in the draw, leave a comment on this post that mentions a writer who is connected to Canberra. You can also write a tweet that mentions a writer connected to Canberra, but remember to tag it with @LiteraryMinded + #InvisibleThread. Due to postage costs this competition is open to Australia only. The competition will close on Friday the 21st of December at midnight and I’ll announce the winners on the weekend. Good luck! Irma, how did you, and the Advisory Committee, select works to be included in The Invisible Thread? The Advisory Committee spent a year reading through the work of over 150 writers. We tried to read as widely as possible through each author’s body of work. So between us we read hundreds of books, as well as individual essays, stories and poems published in various journals and magazines. We decided that the guiding criteria would be work of excellence, or work that ‘sings’, by writers who had a significant association with the region. The anthology is not about Canberra, so we were not limited by subject matter. From all this reading we put together a longlist, and I convened a series of meetings to debate the merits of each work. We then agreed upon a list of recommendations, from which I selected the final works that make up the anthology. The Invisible Thread is divided into sections: ‘Looking Backwards, Looking Forwards’, and ‘Looking In, Looking Out’. Can you explain some of the choices behind the ordering and organisation of the anthology? 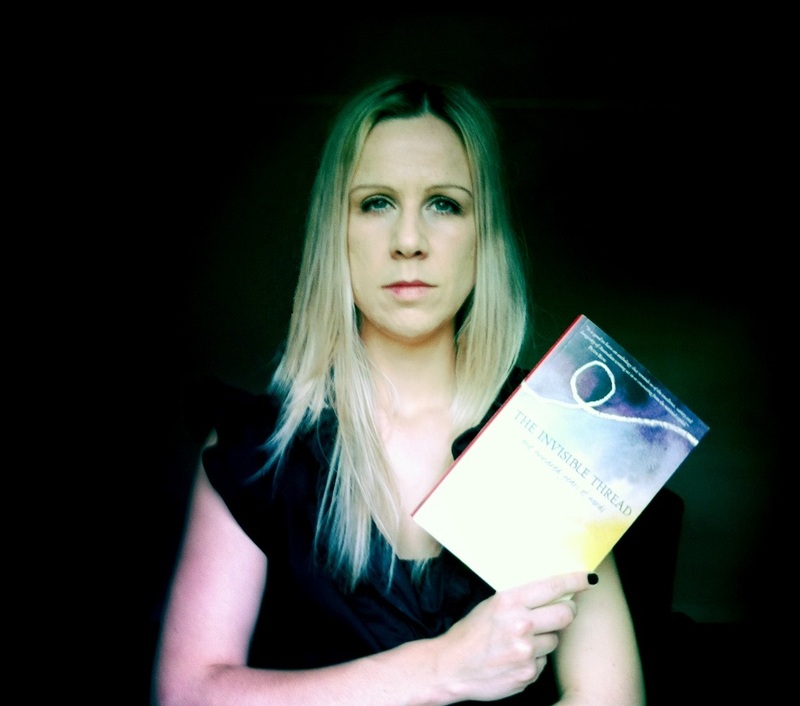 I spent last summer finalising content and deciding how to structure the anthology. This meant lots of time thinking, rereading, moving bits of paper around. At various points my office floor was completely covered in paper. There were so many different ways the anthology could have been structured. A chronological progression was one option, but this would have prevented the works from speaking with each other across the decades. I was looking to make connections between the works so that they could ‘sing’ together. In the end I settled on sections that are deliberately open-ended and kaleidoscopic. It’s this interplay that gives the anthology its richness. Like a choir of individual voices that together create a landscape of sound, the anthology is greater than the sum of its parts, creating a landscape of literature. I selected individual works based not just on their own merits, but also on the way they contributed to the whole. Readers often dip in and out of anthologies, which is part of the beauty of them, but there are greater rewards to be discovered reading The Invisible Thread from beginning to end. Did you come to any other interesting conclusions, or make any notable discoveries (perhaps regarding Australian literature in general), while putting the book together? One of the discoveries we made is that as a reflection of the last 100 years of publishing the anthology reveals the difficultly women have experienced in getting published and achieving recognition. Of the early writers included in The Invisible Thread it is the women who have slipped from our collective radar. Writers like Marjorie Barnard, Flora Eldershaw and Ethel Anderson who were highly regarded in their time but have now faded from view. The disparity between the number of men and women in the anthology became evident only after I finalised content: one-third of the writers are female. There’s much debate at the moment about the undervaluing of women writers, and whether we—as a society—subconsciously preference male writers. In making decisions the committee was only thinking about the very best writing, but surely the committee hadn’t fallen into this mindset? At the beginning of our search we were casting our net as widely as possible, without discrimination, seeking out every writer who’d had a significant association with the capital. I immediately went back to our initial list and discovered that only one-third of those writers were women, so the final selections reflected the imbalance of the broader pool. Recent stats show that women are still dramatically underrepresented in awards and reviews, and the newly established Stella Prize for women writers, named after Miles Franklin, is trying to redress that balance. I would like to think that the next 100 years will bring greater change. What is the most ‘Canberra’ piece in the book, if you had to name one? Such an interesting question and a tough one to answer (for starters, singling out one work from 75 is a terrible ask). The answer also hinges on how you define Canberra. Outsiders see Canberra as being dominated by politics, but for me what characterises the people who live here—and especially the writers—is a particular kind of thoughtfulness. This is a place of thinking, of ideas, of exploration. Most pieces in the anthology are set elsewhere, showing Canberra as a city connected to the world. If forced to name one piece it would be Marion Halligan’s essay ‘Luminous Moments’. Over the years Marion has written so beautifully about Canberra in a way that has opened readers’ eyes to the everyday lives of the ordinary people who live here. But Marion’s essay is not just about what’s happening on the surface, it’s a moving and profound work about life and death. People have deep-seated negative perceptions about our city that have little to do with the reality of living here. Peel back the veneer and you’ll find a more subtle and complex place. That’s what Marion’s work does in an elegant and disarming way. What do you perceive as being the role of a book like this, now and in the future? Firstly, it makes evident the rich and diverse work Canberra has contributed to our national literature. Melbourne might be the official UNESCO City of Literature, but for a young city with a small population Canberra’s literary rollcall is impressive. The anthology also opens a conversation between works past and present. 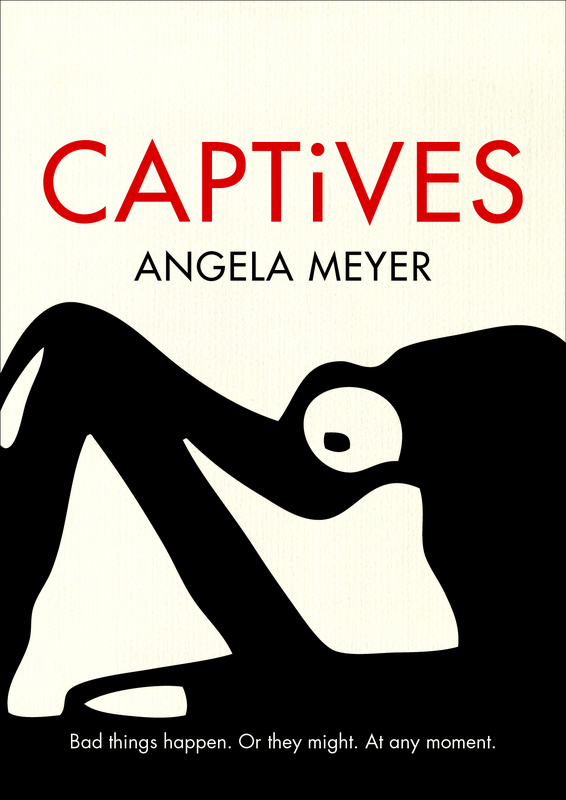 Readers can reacquaint themselves with writers now largely forgotten, discover writers who have previously been overlooked or not received the attention they deserve, and revisit the established greats. The Invisible Thread is a microcosm of Australian literary talent: worth reflecting on as we look to the next 100 years. See also The Invisible Thread trailer on YouTube, and The Invisible Thread Facebook and Twitter pages. looking forward to the day this arrives in the mailbox! Would Don Watson fulfil the Canberra connection criteria!? Frank Moorhouse’s Cold light; Sara Dowse’s West block; Andrew Croome’s Document Z; several Marion Halligans including The point and Fog garden. These are a few set in Canberra. I think Anita Heiss has set some books here too. Thanks, I couldn’t recall and I didn’t google novels set in the captial. Pretty much every country has a significant circle of literature set in the capital city, but without research and your help I still wouldn’t know many set in our capital. Canberra is ripe for a great novel. Not exactly my personal style, but Bryce Courtney lived out his last days in Canberra. Some of the most renowned writers from ‘The Can’ would be Marion Halligan and Janet Turner Hospital. But I love the works of Judith Wright (dec). Thanks for the chance at a giveaway. A writer I associate with Canberra is Helen Garner who wrote ‘Joe Cinque’s Consolation’. Thanks for the chance of winning this anthology. A writer I associate with Canberra is Helen Garner and her book set in the capital ‘ Joe Cinque’s Consolation’. An author with whom I associate Canberra, spends much of his day researching in the National Library of Australia and is involved with one of their up-coming exhibitions, is Granville Allen Mawer author of Diary of a Spitfire Pilot: over the English Channel & Over Darwin (Rosenberg Publ. 2011) and South By Northwest: The Magnetic Crusade and the Contest for Antarctica (Wakefield Press, 2006) and several others. What a great competition. I recently borrowed Marian Halligan’s The Apricot Colonel. I only discovered her last year when I bought her short story collection Shooting The Fox. The stories were wonderful. I’m sure you’re not the only one Tony. Canberra is, as the title of the collection suggests, pretty invisible itself. Sydney and Melbourne think they have it sewn up but we beaver quietly away here supporting an active literary and intellectual life.